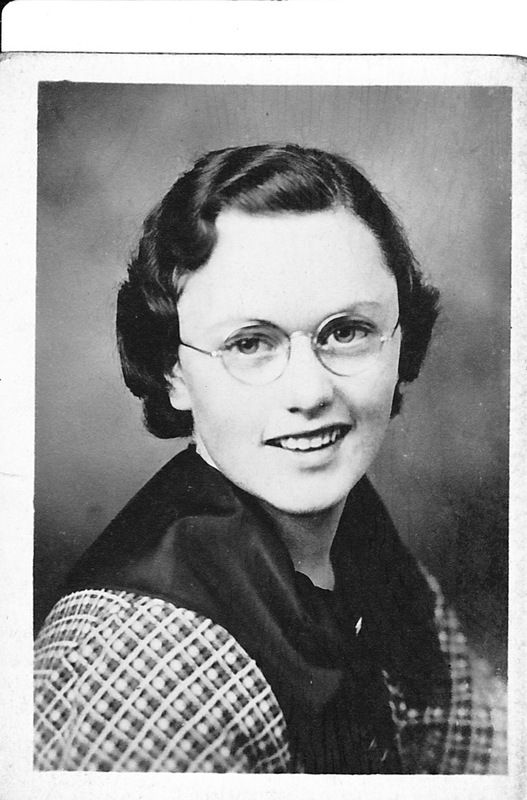 Anker M. Jensen was born in Chicago, Illinois, March 10, 1916. 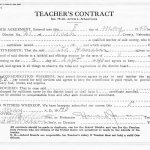 He received his BA in 1936 from Dana College, Blair, Nebraska, and his MA in 1938 in English from the University of Chicago. 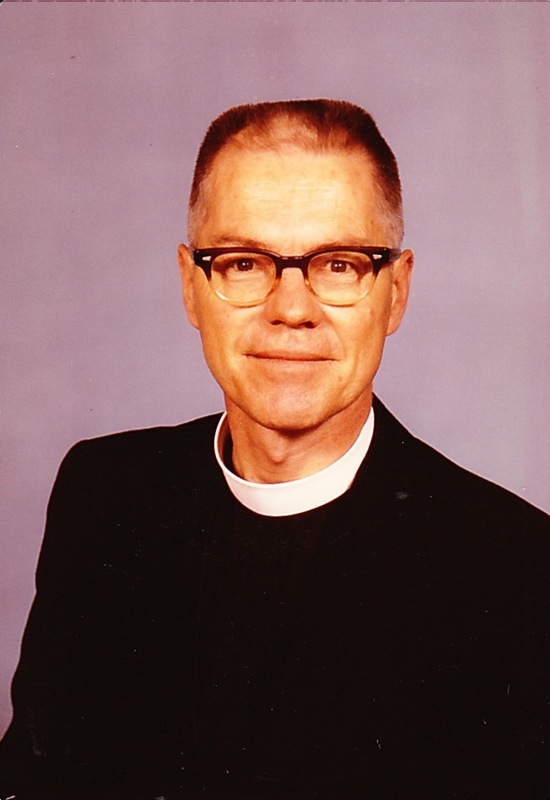 He graduated from Trinity Seminary in Blair, Nebraska, and was ordained in 1941. 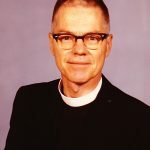 He served in Our Savior’s Lutheran Church Edmore, Michigan, and Immanuel Lutheran Church in Sydney, Michigan, 1941-1948, Luck Lutheran Church in Wisconsin, 1948-1955, Faith Lutheran Church in Castro Valley, California, 1955-1968, and Olivet Lutheran Church in Inglewood, California, 1968-1978. After retirement he engaged in interim ministries. 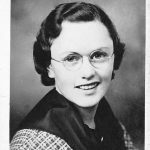 In 1941 he married Vita Hansen (1915-1998), a public school teacher, who specialized in music and served as organist during most of the years of her husband’s ministry. 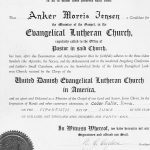 Anker—Ordained as a pastor in 1941 in the United Evangelical Lutheran Church, which was the Danish Lutheran synod at the time, Anker Jensen served the church for many years in several different locations. 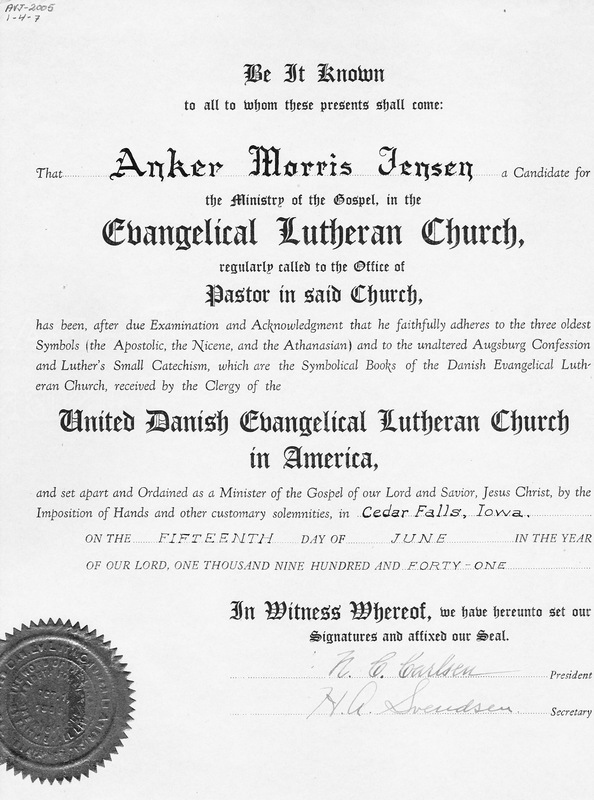 Shown here are Anker’s ordination certificate and a copy of his sermon notes from 1952 in Luck, Wisconsin. 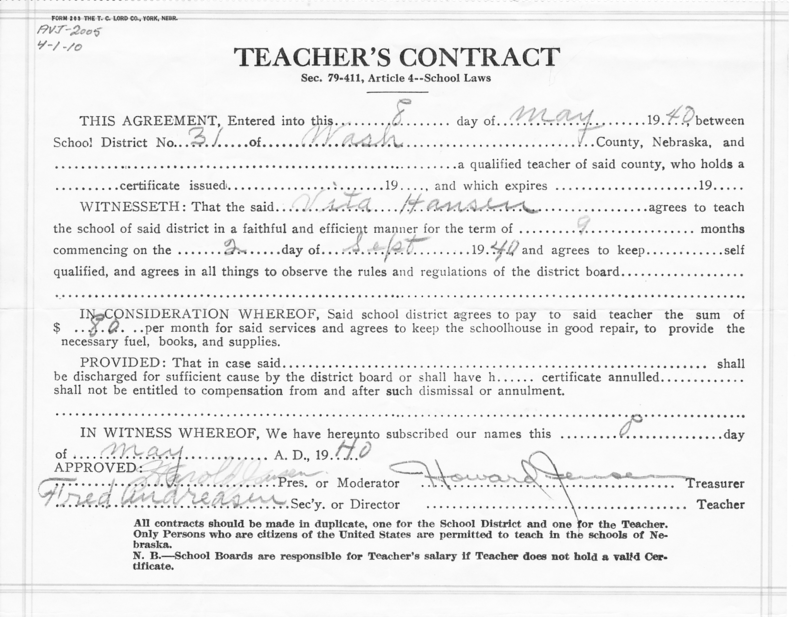 Vita–In 1974 Vita Hansen Jensen wrote a memoir of her life ”…In the hope that perhaps my children would be interested in how their mother had spent her life.” Shown here are Vita’s teaching certificate and an excerpt from the memoir that describes some of her experiences while teaching.